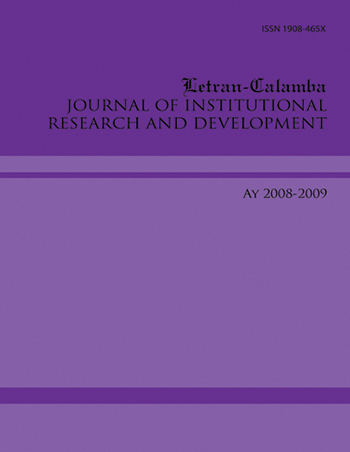 The IRP Journal is a publication of the Research and Development Department. This partly contains pertinent research information on completed research studies under the Institutional Research Grant Program. Largely, it serves as a means of sharing the results of research studies conducted by the academic community of Colegio de San Juan de Letran Calamba. 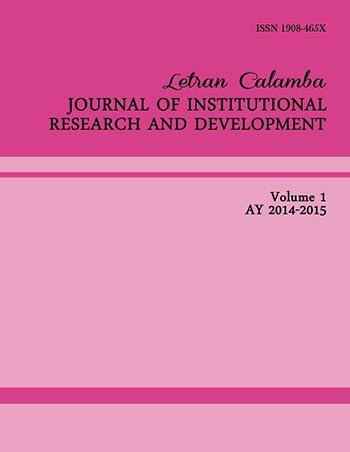 This journal thus promotes research awareness and competence of faculty and non-faculty members of the Colegio. Further, it may serve as a reference material for administrators, policy-makers, and others interested in research and development.